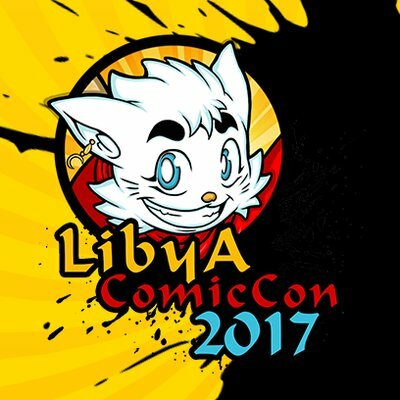 Two of the five Libya Comic Con organizers who were detained by an armed militia when the show was raided and shut down on November 3 have now been released without charge, according to a report from the independent news site Libya Herald. The militia known as RADA Special Deterrence Forces, which acts as a police force for Libya’s interim government following the fall of dictator Muammar Gaddafi, had announced that the detainees would be turned over to prosecutors and charged with “attack on morals and modesty” of young people. According to a source who remained anonymous for safety reasons, however, the prosecutors could not actually identify a crime with which to charge the two organizers who were released over the weekend. According to an attendee’s Facebook post, which has since been deleted along with the entire Libya Comic Con page, the militia objected to numerous aspects of the event: some women attending without hijab; posters of Wonder Woman and Catwoman; perceived Christian, Buddhist, Satanic, or atheist elements of the art and Japanese calligraphy on display; and the many fans who attended in costume. In the runup to the con which was scheduled for November 2-4, organizers had been fighting social media rumors that it was a Halloween event — viewed as both Satanic and a Western import by RADA and other Libyan hardliners.